1.5 inch Mylar Button (inkjet printed image) The Button is securely glued into place using an industrial strength adhesive. 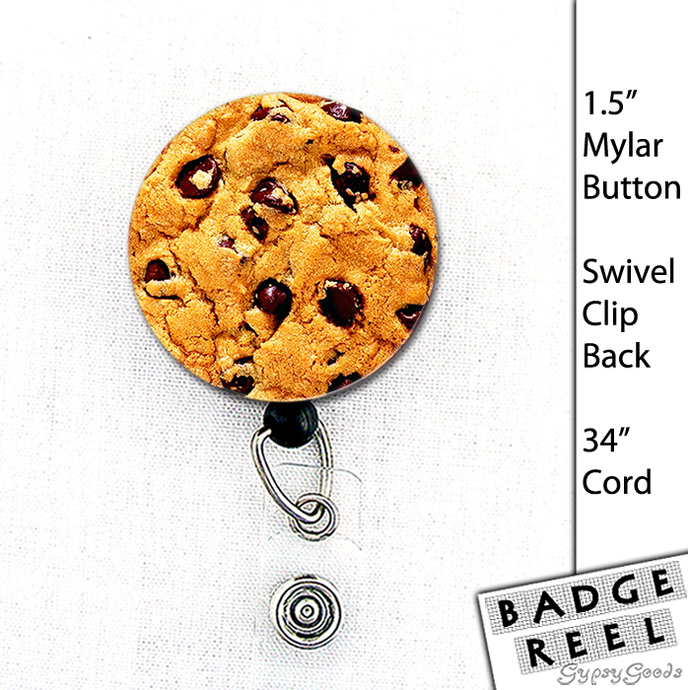 -Mylar wipes clean (do not submerge in water)-black plastic badge retractable reel. 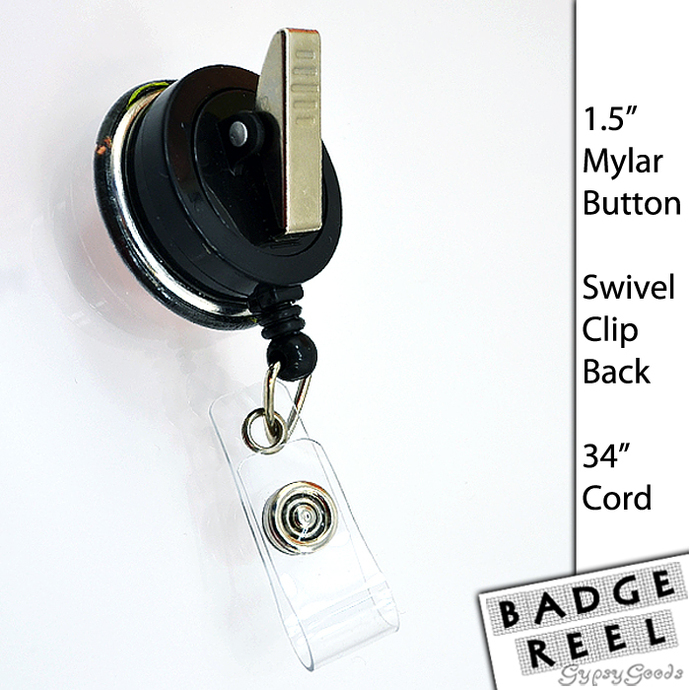 -Clear snap strap for your ID Badge. 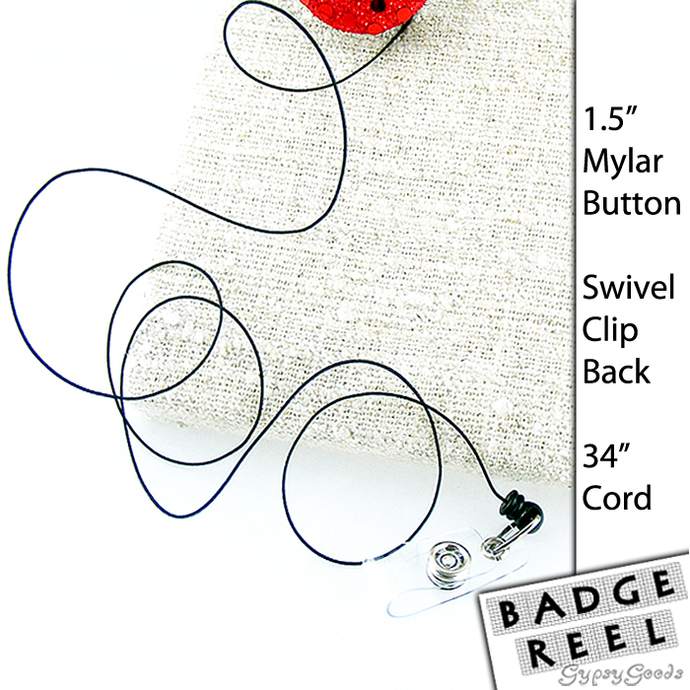 Clip on back attaches on shirt pockets, necklines, jackets, lab coats, tote bags or purse straps.